U.S. President Donald Trump, left, and Russia's President Vladimir Putin talk after a meeting on the closing day of the 25th APEC Summit on Saturday, Nov. 11, 2017 in Da Nang, Vietnam. That was President Donald Trump on Saturday, defending Russian President Vladimir Putin against the unanimous view of the FBI and U.S. intelligence agencies that Russia meddled in the U.S. elections. The obvious conclusion: Trump knows full well that Russia meddled, but he’s worried the special counsel’s investigation, which has already ensnared Trump campaign aides, will implicate him. But there’s another explanation: Maybe the president of the United States is just incredibly credulous. We already know Trump has a tendency to repeat the last thing he heard, and he has a well-documented history of believing all kinds of cockamamie theories. What if it’s not just that he’s being “played” by Putin, as former intelligence officials say, but that he’s a willing organ? The following dossier on Donald Trump’s early years was given to me Monday by a man on a park bench in Lafayette Square. The man said he absolutely did not make up these events and exchanges. I really believe that when he tells me that, he means it. He did not do what you’re thinking he did. I think he’s very insulted by it, if you want to know the truth. Trump was so shocked to learn in 1998 that Clinton did not really believe those things that he was momentarily lost, and he began to rethink his innate credulity. 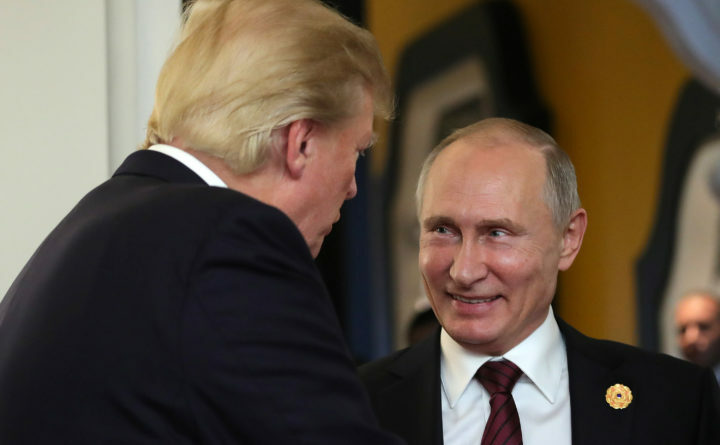 But, as luck would have it, his timing was perfect: A former KGB officer who was about to become president of Russia would restore Trump’s faith in humanity.